You're welcome, Steve! 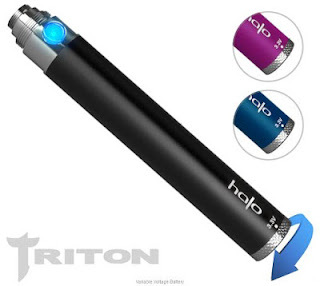 And please feel free to come back and share your experiences with the new Halo Triton Variable Voltage Battery. We're definitely looking forward to it! i'm having such a hard time trying to decide what to get! 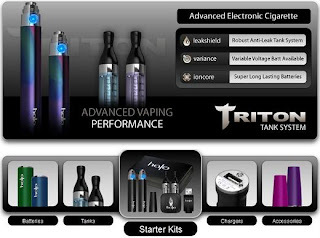 I already have halo's G6 and I am eady to upgrade, I love the triton starter kit and all the goodies that come with it, but the VV battery is really tripping me up! I wish they had a VV battery starter kit! Yeah, I wish they had a starter kit for the variable voltage battery as well! Maybe they'll add one in the near future. Personally, I'd go with the Triton starter kit first since it comes with everything needed (tanks, chargers, carry case, etc.) and vapes like a champ. If you get just the VV battery, don't forget to also get a Triton USB adapter charger since the G6's USB isn't compatible. I also recommend getting some tanks - they really add to the vaping experience and work like a charm. Take care and happy vaping!